The Office of the Scottish Charity Regulator (OSCR) sent word in October 2006 that the Findhorn Foundation had categorically denied hosting Holotropic Breathwork. I duly repudiated this denial as being an evasion and deception, supplying relevant details. Aspects of a wider situation are then described which include reference to various "alternative" organisations, providing data on matters that are so often elusive to surface appraisal. The problematic "new age" sphere of activity contains entrepreneurial trends and habits of evasion which need strong critical focus to avoid being deceived by them. The overall situation caused me to compose a Second Letter to Tony Blair dated 1st September 2006, a fairly lengthy communication complaining at various matters, and which includes reference to the OSCR. I have been advised to have that letter placed on the internet along with other materials, and a technician will do this for me. The letter is to remain private until the time of public exposure. The significations in that letter are fairly grave, and afford testimony to what otherwise might be forgotten. 2) You supply information in your letter about the response of the Findhorn Foundation (abbreviation FF) to your probe concerning Holotropic Breathwork (abbreviation HB). "The FF has categorically denied running any courses on this subject or permitting them to be run on its property or under its aegis." You add that our forecast about such a denial on their part has proved to be accurate, thank you. Please note that HB is never presented in courses, but in what the new age calls "workshops," which means active hyperventilation in respect of HB. HB workshops have been intermittently ongoing in defiance of the 1993 official suspension (or strong recommendation of the SCO, subsequently repeated in 1995 in a mode that offset the renewal appeal for HB made by the FF). Reports of the frequency differ, but for convenience, I will here focus upon the well documented HB workshops of 2002 and 2005. The venue was Newbold House in Forres, a property very closely associated with the FF and affording a focus of activity for FF members and gullible paying clients who visit from various countries in response to FF course and workshop brochures and other promotions. The last known HB workshop at Newbold House dates to Nov. 19th–21st 2005; this lasted for three days, was a commercial event, and was advertised in the FF internal magazine Rainbow Bridge, and in the most glowing terms as conferring mystical experiences. I have quoted from that ad in my Letter of Complaint to David Lorimer, page 21 (which was sent to you, and you here have proof which you appear to overlook). The "therapy" team involved was led by the FF superstar Craig Gibsone. The line-up was the same as in Nov. 2002. Gibsone’s assistants likewise lacked any medical credentials. That team has been described in the footnotes to my recent book Pointed Observations (pp. 386–7). Gill Emslie is one of the prominent FF commercial consultants regularly advertised in the annual FF courses and workshops brochures (along with her photo). Michael Shaw has been a senior FF Trustee, and is likewise a prominent figure in that organisation. Andrew Murray is also well known as a long term FF representative, and was at one time editor of the FF magazine One Earth. These four people were an overpowering recommendation for HB to the gullible subscribers, who are never told that the SCO suspended (or strongly recommended against) this "therapy" on medical grounds of warning. For you to be told that there is no link with HB on the part of the FF is a deliberate evasion typical of their tactics. You should fully realise the gravity of this matter in the light of paying clients who go to Newbold House in the belief that "spiritual education" of the FF is worth paying for as they are taught to do. 3) You need to assimilate that you have been treated to an artful (or clumsy) deception. Critics can easily penetrate the evasion. Having lived in Forres during the 90s, I do know something about Newbold House. I lived on the same road in fact. That property had been acquired by a group of FF members and became independent via donations. It gained a reputation for extremist activities, and was viewed with suspicion by locals. Newbold House was a related precursor to the very calculating expansion plans of the FF that were designed to negotiate the extensive debt they had incurred. Some FF components then came under "independent" ownership, though full links with FF ideology and practice were retained. John P. Greenaway has discussed this deceptive matter of "expansion through splitting" in his book on the FF, and concludes that superficially independent groupings are essentially sub-groupings of the same FF conglomerate (In the Shadow of the New Age, p. 332). Even the Universal Hall became subject to a ruse of independence (Pointed Observations, p. 193) in what amounted to a virtual farce. Newbold also is only nominally "separate." In practice that property acts as a substantial clientbase and support zone for the FF. It was included in the FF brochure Courses and Workshops May–October 2005, p. 34, which makes clear that a close link exists. Newbold House is there described as "a workshop centre" and "a place of transformation," and as hosting a number of FF programmes. Numerous Newbold workshops are listed on the same page, and immediately afterwards occurred the HB workshop in Nov. 2005. Newbold is definitely under the aegis of the FF, and the HB workshop was substantially endorsed by the ad appearing in FF literature. The paying public do not distinguish between the FF and Newbold; the two are so closely interlinked that they are generally regarded as being inseparable. Further, the internal FF magazine glowingly advertised the HB workshop in Nov. 2005, a temptation that was read by diverse visitors and FF inmates, who inevitably view such workshops as being sanctioned by the FF. The HB team of "facilitators" are all FF icons as mentioned above; Andrew Murray teamed up with Gibsone to give other workshops (not HB) that same year at Newbold, which means that these two well known celebrities were attracting clients at Newbold in the months leading up to the HB workshop in November. The names of the four "facilitators" appeared in the Rainbow Bridge ad; the internal magazine (though rather shoddily printed) is often seen by visitors, and the contents are influential. The recommended fee was between £30 and £50 per day, though some clients are liable to have paid more in view of the FF tendency to invite donations by the adroit means of "attunement." The editors of Rainbow Bridge sanctioned a very misleading description of HB in clear defiance of the SCO suspension (or strong recommendation that was effectively repeated). The SCO intervention in 1993 (and 1995) implied an indefinite suspension of a high risk activity causing extreme hallucinations and other problems. To describe such high risk hyperventilation as a desirable form of mysticism is in clear breach of public safety and due education. If no curb is applied, the problem will recur. The FF staff know full well that any workshop held at Newbold House will be tapped by FF subscribers. HB consumerism has definitely been assisted by the FF in contradiction to the SCO recommendations. This is a very serious matter, and we trust that you will act accordingly in the public interests. There are many gullible people amongst FF subscribers and visitors who need protecting. 4) In a published work, I have described Newbold House as "a Foundation support venue" (Pointed Observations, 2005, p. 196). That wording occurred in my description of the HB workshop at Newbold in Nov. 2002 which lasted for a full week. That same year of 2002, the facilitator Michael Shaw was listed as Chair of the Trustees of the FF (ibid., pp. 386–7 note 196). Such positions should entail a due sense of responsibility, but this factor is so frequently missing within FF ranks. As such details are now publicly available, it is felt that the OSCR is at a disadvantage in crediting the FF denial as possibly true and believing themselves (the OSCR) unable to prove otherwise. The proof is already in print. 5) The FF have been in a contradictory position about HB ever since their spokesman Alex Walker briefly supported the Gibsone regime (which had imposed HB in the community) in a book published by the FF in 1994. At that time there was a strong underground support for HB at the FF which continued private sessions in defiance of the medical warnings from Edinburgh University. Walker tended to defend HB despite the SCO recommendation (which caused the official suspension of HB by the FF), even invoking Grof’s description of HB commerce as "a spiritual technique with an ancient shamanistic lineage." HB was subsequently spread in England with strong intent by FF therapists, causing much confusion during the 90s, a contagious problem which continues. You should never forget that the FF made an appeal to the SCO in 1995 to resume HB, an appeal which was rejected on medical grounds (Castro, Hypocrisy and Dissent within the Findhorn Foundation, 1996, p. 102). Although some people experience forms of euphoria in HB, there are many others who do not, and who can contract aftermath symptoms of disability which are never advertised by the commercial practitioners. 6) Your disclosure that the SCO file on the FF has been lost or destroyed, is a matter of great concern to onlookers. You cannot be blamed for that loss, but your forerunners can be. That file included the report on HB from the Pathology Dept of Edinburgh University. The regress of charity status organisations must be more adequately monitored. The aspect of regress which has permitted HB at Newbold House is now linked to a larger dispute revolving around the presence of HB in Britain. HB now spreads in England because it was not stopped effectively in the parent cell, i.e., the FF, who have now signalled by their message to you that officialdom can be outwitted and set at nought. HB is a Californian commodity of commercial content that was devised by Stanislav Grof at Esalen. It now has a thousand or so practitioners throughout the world who are a cause of growing concern, many of them taught by Grof, who is known to have ingested large quantities of LSD. Some HB partisans are MDMA enthusiasts, a tendency similarly deriving from Grof and which caused acute concern amongst American scientists when an Institutional Review Board was temporarily undermined in a certain region of America (prior to another IRB being persuaded by MAPS). All things considered, I felt obliged to mention in my Second Letter to Tony Blair that the OSCR suggestion about obtaining another medical assessment could be a risk, in view of doubtful trends that sometimes pass undetected in professional identities. Professionals can no longer be relied upon to further public safety; they first have to prove that they are not new age berserkers. 7) Now strongly associated with the FF are the enterprises of David Lorimer, whose influential "alternative" organisations in England have recently received criticism. Lorimer is a collaborator with the FF, who are a prominent ingredient in his new University for Spirit Forum (USF). An FF Trustee is on record as having stated a theme, within a USF context, that no adverse reflections upon drug users can be entertained. (See my Letter of Complaint to David Lorimer, 2005, p. 2.) "Anything goes" is now the new age code of insipid nonjudgmentalism which permeates the Scientific and Medical Network (SMN) so strongly associated with Lorimer (and the FF). This attitude is further indicated by the continuing presence on the SMN website of an article by Prof. Chris Bache, who is a prominent American disciple of Grof and an advocate of LSD shamanism and HB. Lorimer has chosen to ignore and evade the Letter of Complaint sent to him and his colleagues (who act like clones in support of the ringleader). The basic orientation of the SMN, USF, and the FF, is evasive and irresponsible. No wonder that an organisation like MAPS, who constitute a powerful psychedelic lobby, have a field day in infiltrating such permissive sectors, and the outcome is entirely unpredictable. (MAPS is the abbreviation for the Multidisciplinary Association for Psychedelic Studies, launched by a disciple of Grof.) Bache is a hero of MAPS, whose personnel are protagonists of LSD therapy, MDMA therapy, and HB, all of which are interlinked. Illegal therapies operate underground in different countries, especially America. 8) The SMN website, due to the prolonged exposure of Bache’s confusing article, is now an invitation to host HB and underground LSD therapy. Lorimer is now cementing strong links with the FF, and has ignored warning documents. The SMN-USF-FF circuit is now inseparably associated with Bache’s LSD shamanism (partnering HB), which is currently patronised by new age academics who have demonstrated an unsound outlook. MDMA is equivalent to confectionery in such promotionalism, where no warnings can be found. Young people are particularly vulnerable to "anything goes," including some in universities. Such deficient organisations as the SMN and USF are assisting the psychedelic revival that is being voiced abroad by the partisans of MAPS, whose misleading and influential website has glorified the Grofian trend. MAPS are obsessed with the topic of psychoactive drugs. Enthusiasts of HB sometimes refrain from psychedelic enthusiasms, but are in a situation of contradiction, as they notably glorify Grof without giving any details of the acute drawbacks in his activities. Cf. Shepherd, Pointed Observations, pp. 6–24. Grof’s perinatal theory is basically unsound, and Grof Transpersonal Training is a blatantly commercial project which developed HB as a trademark therapy. The doctrine that drugs are ingested safely in the Grofian trend is a fiction disproven by Bache’s own accounts, while the presumed safety of HB is another myth deriving from Esalen. The maladies created by HB during Gibsone’s directorship of the FF have been covered up and forgotten by that unreliable organisation, though the truth can be found in dissident and critical reports (e.g., see my Letter to BBC Radio, which was sent to you along with the Letter of Complaint). 9) The internet encyclopaedia known as Wikipedia has afforded one of the revealing manifestations of HB doctrine. A partisan article on HB appeared, and so a more sober academic spectator contributed a critical extension which mentioned what some critics of HB had stated. This supplement was so unwelcome to the partisans that they recently (Sept. 2006) interposed a distorted version of the critics. Part of that interpolation read as follows: "HB has been a lightning rod for criticism by people with vested interests in the status quo. The capacity of HB to facilitate mystical and shamanic experience has also subjected it to the stereotypic criticism voiced by those averse to such practices, as for example missionaries have criticised the practices of indigenous peoples." The misleading nature of this commentary is evident to informed analysts. Grof’s trademark therapy has nothing to do with "indigenous peoples," but the ideology of HB is so fantastic as to breed bizarre concepts requiring correction. Further, critics of HB like myself and my mother have no part in the status quo implied, not being medics or academic notaries. Yet also, the first major critic of HB in Britain was herself a mystic, with a completely different version of mysticism that was censored by the FF staff who vainly attempted to place a legal interdict upon her autobiography. Rarely has the new age been at such an ideological disadvantage as in this telling instance (see Kate Thomas, The Destiny Challenge, chapter 14 for the FF). The vested interests of the FF contrived a repression of data and identities in their preferred version of "history," which resembles mythology to literate parties. A Ph.D. in a British university felt obliged to delete the interference in the Wikipedia entry, and warned that such interpolations were likely to continue. I have no objection to the inaccuracies being made known when placed in due context. The critics profiled in the Wikipedia entry on HB were three Professors of sound repute, a Scottish medical doctor, Stephen Castro (now in the Inland Revenue), my mother, and myself. 10) Your reduction of the pressing FF issue to HB is not agreed upon by onlookers. The economic mismanagement achieved by the FF during the 90s and later is a subject that will be remembered elsewhere. Moreover, the regressive factor of commercial workshops comprising a form of miseducation and public confusion is not limited to HB, and this factor is surely not deserving of charity status. The FF is not typical of charity status organisations. The peculiar "workshop" concepts and practices involved, and which spread amongst the public in more than one country, is reason for a stronger form of monitoring than is currently the official practice (which has to date exercised a relative absence of monitoring). Many of the persons who conduct commercial workshops do so on the most questionable basis as drop-outs from society who take a quick route to fame as spiritual teachers, healers, "consultants," and "counsellors." They create extreme confusions, and their "new spirituality" is basically a form of personal income masking their inability for genuine insight. The exorbitant fees involved are assisted by the subjective exercise of FF "attunement," which does not act like a charity. The ecological facade of the FF has distracted attention from drawbacks. One UN department, based in Geneva and not in Britain, has recently committed an extreme blunder in relying upon partisan FF reports which exclude realistic data. The general situation is now sufficient to invite the strongest criticism, as the FF has been elevated to CIFAL status without due examination of performance. 11) Your statement to my mother that you had to disregard her own case history is another problematic exclusion. She was the first major critic of HB in Britain, and personally witnessed at the FF many of the flaws in that "therapy" during the 1989–91 period of Craig Gibsone’s ascendancy. Her testimony is now valuable to researchers. The Scottish Daily Mail recently expressed interest in data associated with her, especially as one of their journalists had visited the FF and felt alarmed at trends in evidence there. When this newspaper learned that the OSCR was intending to probe the FF, they stipulated that they could not say anything until your office had passed a verdict. Their reason was fear of a libel action from the FF. Your continued silence has been construed as a barrier to press coverage, and so a gap still exists in crucial levels of public information. The OSCR silence and inaction has assisted FF deceits, and your own recent report now evidences a further deceit of theirs in your direction. Unless the deadlock is broken, there is little hope for the uninformed public who are being recruited into the evasive new age of purported "spiritual education." 12) Jill Rathbone was a friend of my mother whose case is well documented in a book that was suppressed by the FF (a book written by a dissident ex-member of the FF who is now an employee of the Inland Revenue). Rathbone gained a victory in the Scottish law courts against the FF satellite known as the Moray Steiner School. The FF have never acknowledged such details. Rathbone is an English woman who subsequently married a Scot, and he has been shocked at the treatment administered to his wife by the FF. Alex Walker and other FF spokesmen resented the description of her predicament in Castro’s book, which she placed on display in her shop in Forres after she had been denied her rightful employment by the FF "mafia." Yet she attended in goodwill an FF meeting in December 1998, only to find that she was placed in the "hot seat" by a confrontational FF member, namely Roger Doudna. On that occasion, Doudna admitted that another key staff member, namely Richard Mark-Coates, had "a memory like an elephant and bore grudges" (which was proven at that time). Extant correspondence attests that such people are the reverse of their assiduously cultivated image of "conflict resolution" (e.g., see Pointed Observations, pp. 183ff.). A letter from Alex Walker (dated Dec. 1998) reflects the FF belief that Rathbone had to be officially banned because of her recognition of Stephen Castro’s revealing book, a valid factual document which was continually suppressed by the FF staff. The so-called "planetary transformation" is strongly reminiscent of medieval ecclesiastical repression, and the FF hierarchs are in fact more "old age" than anything new or transformative. 13) The OSCR delay in tackling FF issues has contributed to the recent triumph of the FF in gaining CIFAL status, a drawback which occurred to the accompaniment of clandestine tactics. These involved a cessation of FF publicity throughout the summer (of 2006) until late September. The FF knew that the OSCR had been alerted by critics, and their response was to invent new forms of subterfuge, making the UN department UNITAR believe that all was well while suppressing the details. They were aided in this ruse by the greedy Moray Council, which is solely concerned with financial advantages envisaged for the local area. The cupidity of Moray Council was furthered at the expense of crushing objections within their own ranks and ignoring all embarrassing data sent to them by different parties. The example of Moray Council might go down in history as a form of public blight and one with contract to accept misrepresentations at all costs. They have transmitted their spirit of greed to the Scottish Executive, who habitually ignore relevant details. Such bodies flout public objections while supporting new age ecology, which is riddled with the contradictions of ecobiz and pseudotherapy. 14) The new Shambala Trust at Minton House will inevitably become a beneficiary of the new CIFAL centre (Craig Gibsone having been a major inspiration for the latter project, which he interpreted in commercial terms). Your job will be much more complex by then. The OSCR needs to act decisively before the new CIFAL centre is built at the FF, and such due action should involve the requisite alert to the UN dept involved, meaning UNITAR, whose research is sub-standard in relation to north Scotland. The FF should never have been made an NGO, let alone become elevated to CIFAL status. 15) Too many victims and dissidents at the FF were ignored during the 90s by the SCO, whose legacy of neglect is now surfacing. It is too late to ascertain the whereabouts of disaffected persons who left Moray. I was one of those spectators who lived locally. Varied letters of complaint were sent to the SCO, most of which received routine or negative replies. The one official who did express a close interest was taken off the job by his superior, resulting in a stagnant form of communication. The understaffed office in the south was no match for the complexities in the far north. 16) You indicate that your colleagues are concerned about affairs in a related body to the FF that is not yet a charity. I would like to remind that your biggest problem is still with the organisation that has effectively deceived you in your revealing probe about HB. The Office of the Scottish Charity Regulator (OSCR) quickly replied to my First Letter to them. The OSCR dutifully referred to the new Charities and Trustee Investment (Scotland) Act 2005, but expressed reluctance about the matter of Holotropic Breathwork, and mentioned legislative constraints. My (second) reply was duly confrontational, and in the process provided relevant information about the subjects involved, ending with a critique of Stanislav Grof's controversial "therapy" in terms of commercial fantasy. The addressee of the Second Letter to OSCR failed to reply, an oversight which has invited strong critical appraisal elsewhere, and with due reflections on the nature of influences from prevalent political convenience. Thomas R. Thorburn, Senior Investigations Officer, Office of the Scottish Charity Regulator, 2nd Floor, Quadrant House, 9 Riverside Drive, Dundee DD1 4NY. 1) Thank you very much for being the only respondent in the sphere of Scottish officialdom, whose record in this matter so far is otherwise one of a memorable indifference to public complaints. 2) Thank you for your remarks about the "charity test" and the Charities and Trustee Investment (Scotland) Act 2005. Thank you for passing to the attention of your colleagues my concerns which can relate to that Act. You state that you can offer no opinion as to what their decision will be or when this will be made. The time phase is specified in terms of "the coming few years," and so this has no bearing upon matters now urgently pertaining. 3) Your assurance that the OSCR has not dismissed my concerns is nevertheless attended by a disconcerting attitude to Holotropic Breathwork (abbreviation HB). You make no reference to the duplicity demonstrated by the recent Findhorn Foundation (abbreviation FF) denial of permitting HB workshops under their aegis, a denial which is patently transparent. Instead you express an obvious reluctance to treat as misconduct the situation described in my letter of 30th October. In addition, you make no comment on other features of that lengthy letter. This has provoked the conclusion that the OSCR are tending to avoid action because of the recent nomination of the FF to CIFAL status by UNITAR, a nomination facilitated by the economic interests of Moray Council. The public interests should come first, not institutional conveniences which ignore the public interests. You mention a time restriction of six months in directing a charity to desist, and that a direction may not be repeated in respect of the same matter. That is indication of a seriously deficient legislation in respect of medically suspect alternative therapy. You further state that the power of OSCR "to direct a charity to desist may not be sufficient in the case of one where the trustees or managers are determined to resume their activities at the earliest opportunity." Limitations imposed by inadequate legislation should be offset. Do law courts say that if a criminal wants to do something badly enough, one may as well let him, because he will take the earliest opportunity to do what he wants when he gets out of jail? Further, not all of the FF trustees or managers are involved in HB by any means, but only a minority who pass uncorrected by the lax situation of "anything goes" existing in the new age, a situation which can now express a deceit to officialdom because the FF are sanctioned by CIFAL status. Public grievances will now deepen, and will not be deceived. You query my reference to "official suspension" of HB by the Scottish Charities Office (SCO), stating that your predecessor had no power to enforce such a suspension. They certainly did their best to do so by commissioning a medical report from the Pathology Dept of Edinburgh University in 1993 and acting upon this to maximal effect. You prefer to state the FF view in terms of their being "offered advice, which they chose to accept." That is a very minimal version of events, which need to be analysed here accordingly. Yes, the FF leaders were offered some strong advice, and they did accept that it was unwise to go against the recommendation (they were especially worried about the known drawbacks in HB appearing in the local press). The SCO were adamant about their strongly recommended suspension of HB, and to such an extent that when the FF appealed in 1995 to resume HB, the SCO rejected this plan (Castro, Hypocrisy and Dissent within the Findhorn Foundation, Forres 1996, p. 102). It then became obvious that the SCO had interpreted the medical warning in terms of an indefinite suspension. The FF management had exerted their own official suspension of HB in fear of backlashes from some known local responses to HB problems. The local medics in Forres had expressed their own cautions, and a retired GP (who had been a prominent member of the World Health Organisation) had been instrumental in informing the SCO of HB problems, which caused this issue to be presented to Edinburgh University, who passed a negative verdict on Grof’s blatantly commercial "therapy" endangering the public health. All these events were locally known and are on record, though the SCO file on the FF has been lost or destroyed by your own (honest) admission. These matters contribute to a point of continuing emergency. In my recent book, I have stated that "the SCO, in collaboration with Edinburgh University, strongly recommended against the use of Grof’s breathwork" (Pointed Observations, 2005, pp. 167–8). The official suspension was also a fact, as accomplished by the FF management in their fear of bad publicity. Yet although the management had capitulated, other FF members resisted what was considered to be an official imposition by the SCO and an unwarranted interference from the despised medical world. The Grof movement strongly militates against the medical profession, who are often presented as the blind opponents of the customs of indigenous peoples in the romantic version of "shamanism" devised by Grofians. HB is believed by fantasists to represent ancient shamanism, and the distortions in public misinformation are severe. HB extremists at the FF defied their own management and continued private sessions of HB. This anarchic situation included HB workshops held in Findhorn village, which was outside the FF campus. The management became accustomed to this sort of dual operation, and effectively condoned HB by not interfering. This habit has continued in the recent act of duplicity reported by the OSCR probe into HB. Certain FF practitioners began to spread HB "workshops" in England, ignoring all warnings, creating a trend in which other new age activists joined. The Anglican Church soon had to deal with HB problems at one of their locations in London, being obliged to curtail HB after initially trying to turn a blind eye. (See my Letter to BBC Radio, booklet version, p. 5). Your letter understates that "an eminent doctor had offered an opinion that the practice referred to was potentially dangerous." This sounds like a commentary from the Grof movement. The "doctor" was Regius Professor Anthony Busuttil, a forensic expert of Edinburgh University. He was well above average medical competence, though the FF are probably not aware of the distinctions. He knew that HB was dangerous, not just potentially so. The dangers had been confirmed by eyewitness reports of HB aftermath dysfunction. This was why the SCO were so alarmed, and why they applied some pressure upon the FF management. Another academic (known to me) wrote independently to Regius Professor Busuttil, and in this way insight was gained into what the forensic expert had stated in his report (which was not made public). The FF had little or no idea of the medical complexities, an ignorance which continues to this day. Your version of events continues by saying "that doctor has now retired and has declined to give the same opinion after a gap of thirteen years." In actual fact, Regius Prof. Busuttil confirmed and reiterated his early diagnosis on several occasions during the interim, in 1994, 1996, 1999, and 2002. The intermediary in the later confirmations was a man who has a background in law. The detailed confirmation of the forensic expert dating to December 2002 was included in my own book Pointed Observations (2005), pp. 198–9. That firm statement is quite reasonably up to date. Although now an Emeritus Professor [since 2006], the forensic expert has still been in attendance at Edinburgh University during the past few years. If he has really declined to respond recently, you should furnish proof, which would not in itself invalidate the 2002 confirmation, which is of medical significance and publicly known as a reference point. In a letter to John P. Greenaway dated 26/07/06, you stated that you proposed to seek informed medical opinion on HB after first seeking information from the FF. In your recent letter to me of November 14th, you say that "OSCR has no alternative but to seek another medical opinion." The protracted delay, evidently giving deference to the FF standpoint, has suggested a lukewarm incentive influenced by the CIFAL project in Moray, which is itself based upon misleading partisan reports of the FF which are noted for extensive omissions. You add that the OSCR would need evidence of ongoing misconduct to take effective action. Your definition of misconduct here is in terms of: "if it can be proved that a charity is running courses or workshops offering training or encouraging participation in a potentially fatal procedure." I would like here to reiterate that we already have proof of this anomaly, according to all the data encountered and to hand, and as mentioned in my letter of October 30th, which you have in large part ignored. The FF have acted in terms of effective deceit, denying to your Office that HB has been practiced under their aegis. The HB workshop venue of Newbold House (Forres) is well within the FF aegis, and the fact of prominent FF representatives being engaged as HB practitioners is very disturbing to onlookers. The fact that the FF internal magazine has glowingly advertised Newbold House workshops in HB as having a spiritual or transpersonal relevance is merely underlining the anomaly. I am certainly not the only analyst to think this. The details have appeared in more than one publication, as I have formerly stated to you. Despite the FF deceit involved, you emphasise that you would need a statement from a person or persons "who have been offered the treatment in the immediately past few months." Please note that HB is not a treatment in the accepted medical sense, but something very different, and for that reason I am including a few remarks on this matter as set out below. Dissident parties are no longer in contact with the FF, having been screened out of events for very suspect reasons. This matter is attested by copious documentation, though you have chosen to ignore it as being superfluous to your HB probe that met with a deceit which you now overlook. HB clients are taught that their problems are part of the alleged spiritual technique, which is not a treatment but a delusion. Visiting clients from other countries can be very difficult to locate. Your recourse leaves a very dangerous loophole for defiant practitioners to continue HB workshops at the public expense. There are some onlookers who feel that the OSCR is influenced by the recent UNITAR patronage of the FF as a CIFAL centre. That patronage has come under strong criticism as being against the public interests for reasons unexamined and set aside for organisational and monetary conveniences (such as the Moray Council involvement). You could have been of assistance to the gullible public at this crucial juncture, but instead your Office is compliant with the FF gesture in "their message to you that officialdom can be outwitted and set at nought" (from point 6 in my letter of October 30th). Please remember that HB practitioners repudiate the medical profession, a disadvantage now also associated with UNITAR patronage of the FF in the under-researched CIFAL project. A so-called "therapy" like HB does not stop being a hazard after six months or six years or longer. Especially when attendant traumas, hallucinations, extreme moods, and various aftermath problems are continually represented as "spiritual emergency" in the ideology of Grof Transpersonal Training (Inc.). A trademark therapy allowed to pass muster amongst gullible clients as a spiritual exercise, whose dysfunctions are themselves believed by the practitioners to be of spiritual relevance, is a commercial predator deserving due treatment from responsible bodies. The purported "inner healer" does not monitor extremes and dysfunctions, despite Grof doctrine to the contrary. HB is an extreme excitatory technique mistakenly claimed by Grof to have a shamanistic pedigree. That claim is a commercial contrivance. The pedigree is actually the Esalen Institute of 1970s California, where Stanislav Grof innovated HB to replace his illegal LSD therapy. 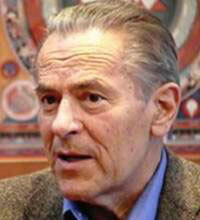 Many of the HB clients encountered suffering because Grof wanted continued income from extremist alternative therapy. The suffering and confused clients are told that they are benefiting from a spiritual technique relating to ancient shamanism. Some other clients experience states of euphoria and "visions," but they are also victims of deceptive exegesis about LSD therapy. HB clients are afflicted with the belief instilled by Grof that hyperventilation activates "a natural inner healing process." Thus the doctrine has been spread internationally from Esalen that "with the inner healing intelligence guiding the process, the quality and content brought forth is unique to each person." This doctrine comes from the HB partisan version in Wikipedia, an internet file recently contested by a critical academic communicator (not myself), and which has needed the overseeing hand of a skilled Ph.D. editor, not the elusive inner healer. The HB contingent constantly spread their misconceptions with little or no resistance from indifferent officials. There will be consequences. Even Grof gave warnings about what can occur in HB (e.g., vomiting, choking, loss of bladder and bowel control, violent shaking, screaming, grimacing, coughing, and other plights). Yet all this is rendered by the commercial process as the work of the "inner healer," shamanic training, transpersonal uniqueness, or whatever. HB flourishes because of commercial appetites, extensive delusions, and official inability to apply extra-contingency measures to such phenomena. Even the Grof literature mentions HB extremes, while dissident and critical literature has described some severe HB aftermath symptoms (including nervous breakdown) that are continually glossed by HB practitioners. The Busuttil diagnosis indicated that, e.g., HB subjects could have acute difficulty in stopping the hyperventilation mode. "Once a certain point is reached, the overbreathing cannot be stopped voluntarily, and thus the damage continues to be inflicted on the body systems until the patient falls unconscious or, in some other way, is physically made to stop." (Pointed Observations, p. 199). Problems can escalate because of the strong emotions engendered by hyperventilation (overbreathing). HB is basically an exercise in emotion, frequently of a very aggravated kind. Supervisors at the FF workshops sometimes had to intervene by pinning down the limbs of the uncontrolled and overwrought client to the floor, so that the HB process was halted. The Busuttil diagnosis was abundantly confirmed. Some clients scream throughout HB sessions (especially women), and exhibit various states of trauma and disability. The aftermath symptoms can last for weeks, months, and even years. Hallucinations can be terrifying. Resort to more relaxed forms of HB than the "bodywork" version prescribed by Grof are still problematic due to the very nature of hyperventilation, which is an abnormal exercise producing a variety of side-effects. The exercise can be extensively manipulated by commercial therapists who employ the deceptive jargon of the ASC (altered state of consciousness) borrowed from the lore of LSD therapy. The theme of "healing through a non-ordinary state of consciousness" is not a reliable gauge of what really occurs, though currently favoured by HB practitioners. Grof lore requires firm correction in due medical, sociological, and philosophical assessments. Grof invented the theme of "perinatal matrices" to describe the gamut of LSD experiences, transposing this to HB phenomena in a manner calculated to imply cosmic significances in his remunerative trademark therapy. This fantasy is undercut by, e.g., the key factor of correlation with "biological birth" experiences, considered a total fallacy by many critical analysts who have no vested interests in justifying LSD excesses. In this respect, Grof magnified the extremist theory of the psychiatrist Otto Rank, producing an epic of transpersonal distortion in his "cartography of the psyche" which became popular at Esalen, the FF, and in channels such as the Scientific and Medical Network (so-called). This misleading "cartography" is increasingly the medium (spread by HB enthusiasts) whereby drug users identify their hallucinogenic experiences as being of a spiritual significance, causing them many confusions and personal setbacks. The distorting Grof lore has been transmitted via new age academics (many of them drug users to varying degrees) and other gullible parties with socially damaging consequences that might soon require a new form of legislation from unwary government departments in various countries. This lore has percolated many "alternative" organisations in America and Britain, and these groupings cannot be trusted to deal capably with "transpersonal psychology," themselves being victims of the acute misinterpretations. The Moray area is rumoured to be on the international strike line of the MAPS project to revive MDMA therapy, a favoured Grof activity. The CIFAL project will encourage new populations whose affiliations will not always be obvious. The recent feat of FF deceit (about HB) in relation to the OSCR probe will be easy for the drugs lobby to interpret as an invitation, and their surveillance system is said to be elaborate. MAPS has been in collision with the Spanish Anti-Drug Authority according to the MAPS website. (See my pending website paper on HB and the MAPS strategy [reproduced on this website].) The resuscitated MDMA therapy was commenced by two HB practitioners in America, and the scope for above ground psychedelic extensions is prodigious, the underground movement now being so extensive. Moray Council might see further gains in such an infiltration, as no scruple attaches to certain current enterprises in ecology. While UNITAR slumbers in Geneva, the new age in Scotland follows radical incentives enshrined in ecobiz and alternative therapy. The public are potential fodder for economic drives and fantastic projects such as HB. PS You might care to know that the Scottish Executive failed to reply to my Second Letter to Tony Blair, even though it was forwarded to them by the Dept of Health at the evident instigation of the Prime Minister. However, although Mr. Blair clearly considers that these concerns belong in Scotland (where nobody deals with them except perhaps OSCR), the Dept of Health has evidently had second thoughts. I have received a letter from an official in the Dept of Health dated 25/10/06, which apologises for the delay in responding and states: "In order to provide a full response to the issues you raise, I have forwarded a copy of your letter to the relevant policy officials for their consideration; you can expect a direct response in due course." PPS In a letter dated 08/12/06, John P. Greenaway informs me that the concerned professional accountant again contacted you recently, and was told by you that the investigation into FF accounts is still proceeding, and is currently with the Inland Revenue. Holotropic Breathwork is only one of the recent moneyspinners at FF-related venues such as Newbold House, whose programme for 2007 is revealing. As critics have been predicting, HB is diplomatically absent from that programme, which also evidences that other activities are more remunerative than the Gibsone aftermath. Certified Hypnosis Intensive Training sells for £1150 (four days), though Loving Intimacy for Couples is cheaper at £250 (three days). Hawaiian Lomi Lomi Massage sells for £545 (eight days), while The Business Practitioner of Neuro-Linguistic Programming costs £1057–£1645 (five days). The Body Mind Slim Camp has a price tag of £599, which covers a week of Yoga for weightloss. Such anticipations are taken from the UK Launch at Newbold House brochure published by the Institute for the Study of Peak States (ISPS). It is stressed that ISPS certification is needed for “crisis intervention and suicide prevention.” Two nine-day events are involved in the UK launch, and the cost for each one is £1425 for residential participants and £1125 for non-residential persons. New age therapy is rarely free of commercial considerations. Yet there is an improvement upon the HB enrolment procedure by limiting the PSTT events to practising therapists, physicians, and laypersons “with relevant experience.” The high prices are evidently aimed at affluent pockets. The leaflet entitled Newbold House Programme of Events 2007 describes Newbold House as “running workshops both independently and through the Findhorn Foundation,” and there are no doubts about aegis in this liaison, however much that aegis may be politically expedient to deny. Ecology is noticeably absent from the exotic programme, perhaps because it is more difficult to create a commercial “workshop” from the cosmetic factor than from therapy crazes (though Craig Gibsone succeeded in this canny recourse). OSCR acknowledged receipt of my second letter to them in a communication dated 22/01/07, via the Investigations Officer Sharon Walker, who was considerately responding on behalf of the absent Senior Investigations Officer, pending his awaited reply. Four months later, there has been no reply. In my view, OSCR are being evasive about an issue requiring action. This evasion tends to support the indifference of the Scottish Executive, who are reverting to medieval standards in their total insensitivity to public complaints about CIFAL Findhorn. The situation in Scotland is paralleled by inertia in England. The Dept. of Health failed to give further reply to my Second Letter to Tony Blair after the notification from their Customer Service Centre dated 25/10/06 which clearly stated that “you can expect a direct response in due course” from relevant policy officials. The Dept. of Health is thus revealed to have an affinity with the Dept. for Education and Skills, which failed to respond to earlier documentation as mentioned in the Second Letter to Tony Blair. The Dept. of Health is not totally exonerated by their gesture in September 2006 of sending the Second Letter to the non-responsive Scottish Executive, whose aloof disdain has been closely noted. The current political climate in both England and Scotland is not always to public advantage, despite the very high salaries paid to officials. The millionaire valuations attaching to elite houses owned by some English politicians are surely not the best guide to achievement. The Labour government has been a source of public affliction in certain policies such as the reduced police force, the introduction of all-night drinking in pubs, and the permissive attitude to cannabis (which, like MDMA, has frequently acted in England as an introduction to cocaine and heroin, and with some dangerous effects such as suicide). Perhaps incoming postal complaints will be discouraged in order to make life easier for those in government departments. The cannabis laws were relaxed in 2003 by the Home Secretary David Blunkett. This development has frequently been lamented by schoolteachers and others. The headmaster of Wellington College (a public school in Berkshire) has recently stated that pro-cannabis campaigners should apologise to the families whose lives have been scarred by cannabis. Dr. Anthony Seldon (who has written a biography of Tony Blair) has pleaded in the press for a total prohibition message from the media and the government against cannabis, which he has called a “pernicious substance.” Young cannabis users have died or become residents of mental hospitals, and many others are subject to psychoses, becoming apathetic or aggressive in schools. The scope for error has been prodigious. The Labour Party has almost casually overlooked such a problem. Meanwhile, Labour have begun to notice that the weather is changing. Until quite recently, global warming was being dismissed by the media as an exaggeration. There are still serious doubts as to the necessary scale of global action being implemented. Placatory political messages are now in favour, though some say that it is too late for anything but stark realism. The Thatcherite economic boom of the 80s long ago stifled due attention to global warming and other neglected ecological considerations, though the Montreal Protocol of 1987 tackled the ozone problem (which still exists). Other matters were conveniently considered to be alarmist and were thus consigned to “fringe” sectors. In this way, ecology became a promotions toy of groupings like the Findhorn Foundation, whose overall performance is in doubt, and clouded by claims to a spiritual education that goes hand in hand with dubious commercial therapy. The poor economic performance of the Findhorn Foundation created a situation in which commercial fees and donations conferred the illusory “sustainability” favoured by eco-lore. The CIFAL Findhorn heritage shows flaws that have been officially ignored; I believe this to be a legitimate complaint attaching to the ecological agenda which is at last emerging into public view. Even the United Nations is not immune to error. Despite their praiseworthy attributes of ideology, the UN are encumbered by a complex international bureaucracy which curtails communication. At least so I have found; the only response I could ever get from them told me to approach another office in another country. That particular response came from UNESCO, who are slightly more communicative than the totally aloof UNITAR who dislike queries about a CIFAL nomination supported by them in north Scotland. The UN has recently mustered the important views of over two thousand scientists from over a hundred countries, contributing to a realistic ecological document making predictions that are basically unpopular. Without swift action, up to three billion people will face water shortages by 2080. Yet there were accusations from some scientists that the UN was diluting the vital eco-message to consumer giants such as America, Russia, and China, who produce harmful carbon dioxide emissions. Government negotiators were involved in the abridgement. So where is the complete truth that is so unpopular? One has to apply this reasoning to so many aspects of contemporary life which presume to be proficient. For instance, there is the controversial issue of the Labour Party having been misled about “new religious movements” by INFORM (see Sathya Sai Baba and Wikipedia, section 11, on this website). Careful analysts will not opt for tunnel vision, however fashionable this might be in the current retrogression.